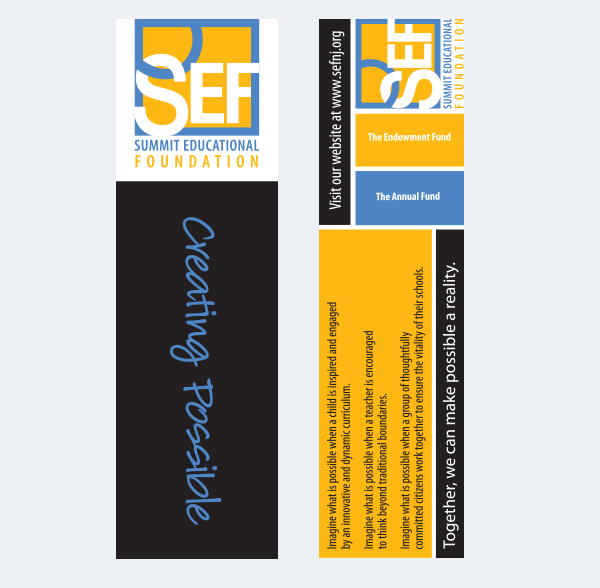 The Summit Educational Foundation launched an endowment fundraising campaign shortly after the economic downturn of 2008. 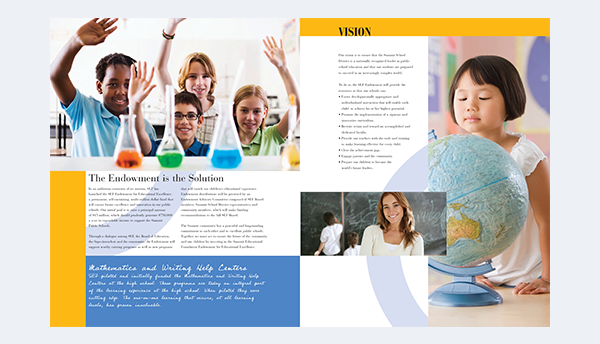 The client wanted a campaign that would engage the community with their public school. Their mission was to support innovative educational programs initiated by teachers and the school district. 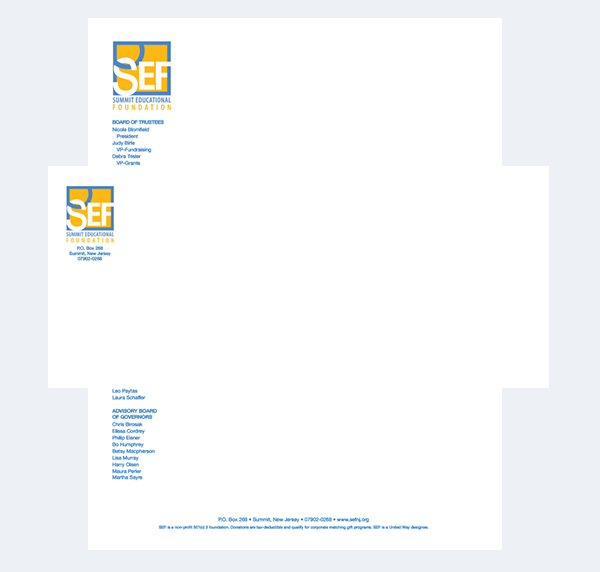 The logo uses the acronym SEF and symbolizes the strong link between the school system and the community it serves. 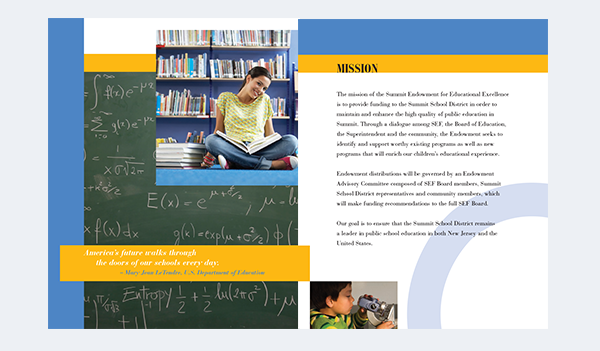 The fundraising brochure for the campaign stresses educational excellence. Instead of using actual photos from school activities, the client decided that stock photos were a better idea to avoid any issues with publishing images of actual students. The challenge was finding photos that we all thought worked. You can see from the spreads that the photos really made the brochure a success, design-wise and financially. The logo was also used on stationery and a bookmark promotional piece.